Hmm…I hadn’t noticed anything. That might not be good, the smell could be me. And thus, Tuesday became laundry day. I’ve never been scared of laundry. I’d done quite a few of my own loads back home in fact so I wasn’t nervous as I headed to the laundry room. I had with me my laundry basket full of cute first week of college outfits, Gain Apple Mango Tango, and matching dryer sheets. As I walked I attempted to balance everything all on one hip so I’d have a free hand to pull out my ID card to get into the laundry; not the easiest task. I was still scrambling with this issue as I came to the door, where to my relief, someone held the door open for me. Once in I looked around for a machine not in use…not many available. I suppose a lot of freshmen were starting to develop a smell. I looked over to see where this mumbled comment had come from. A tall dark-haired guy was sitting there scanning the machines with a perplexed look on his face. “This your first time?” I offered with what I hope was an understanding tone. We then exchanged names and I offered to help him out if I could. This is a common example of many of the conversations I’ve had this first week at Mason. All of the freshmen seem to have the anyone-can-be-your-friend mentality; which is nice, especially if you don’t have many friends up here. I tried shoving all of my clothes into the one machine, hoping that nothing fell on the ground. Mission failed. And of course with my luck it would be a bra. Oh well, it’s a college guy, he’s seen bras before. I tried narrating everything I did so he could follow one step behind. Load clothes, pour detergent in here (this one took us both a second because the machine requested a certain slot in the machine), close the door, select the type of load. He insisted that his mother had told him to use cold water, so we figured out how to do that for Mr. Laundry-Room. After that final discovery we were done loading our first load of laundry on campus. Hmm laundry day might not be so bad. 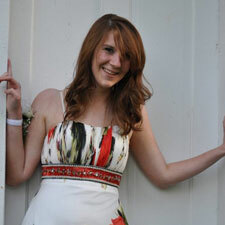 Suzi Foltz is a freshman at George Mason University and AugustaFreePress.com staff writer.